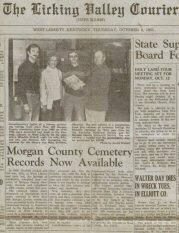 In 1978 my parents and I headed a project to record tombstone inscriptions throughout our home county of Morgan in eastern Kentucky. 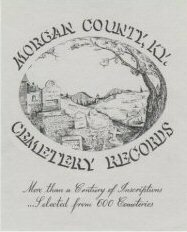 With the assistance of volunteers, we completed over 600 cemeteries, logging many thousands of inscriptions. 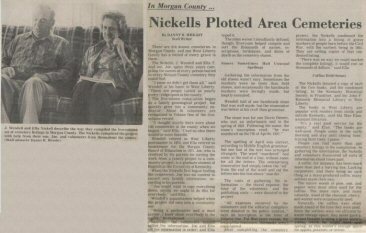 We donated copies of the resulting five volumes to the local library and local and state historical societies. 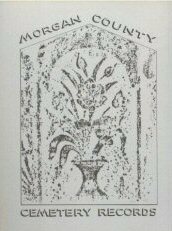 Later, my mother extracted the oldest records for a single volume which we sold (with other offerings) under the name Nickell Genealogical Books. 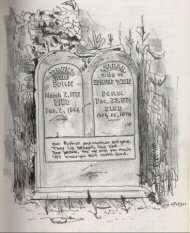 Tombstone rubbings, photos and sketches -- as well as research into the history of local burial customs, the proliferation of graveyards, and the evolution of tombstone types -- were by-products of the project.